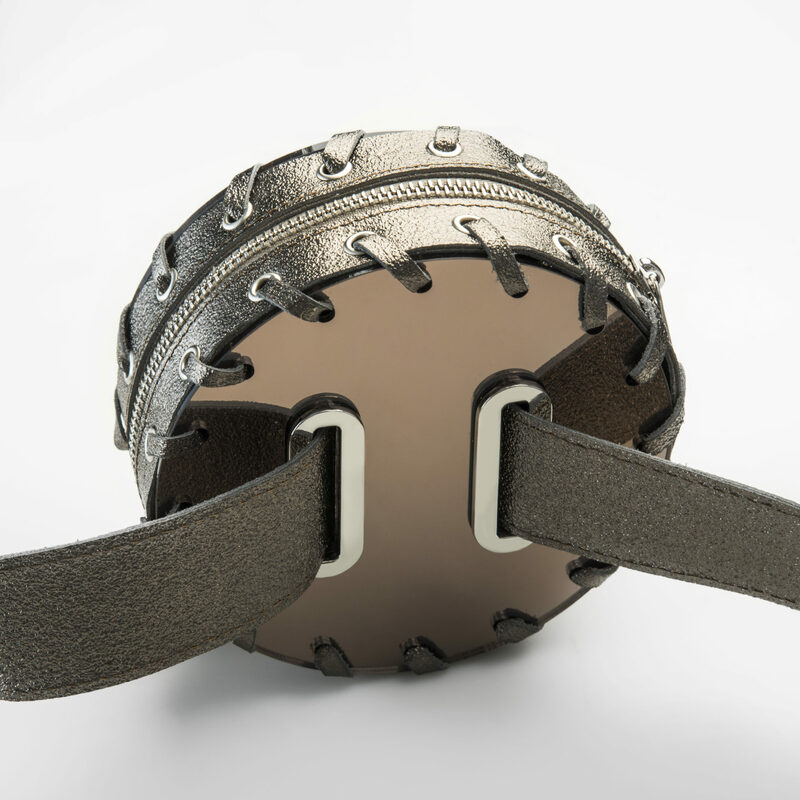 Bronze mirror belt bag.Two sides mirror plexiglass tied with bronze leather. Adjustable belt. Removable bag. Stainless details back side. Metal hardware.